Barony Universal, based in Irvine, Ayrshire, and Sanmex International in Rutherglen, Glasgow, active competitors for many years, have now combined to create the largest independent aerosol manufacturer in the UK. 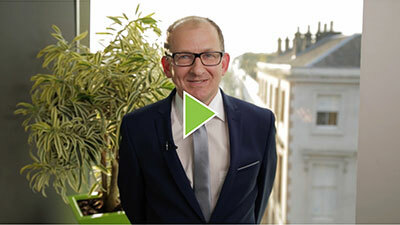 The combined expertise and track record of the two firms will deliver a significant competitive advantage, allowing the new company to pursue much larger contracts, both in the UK and in the global marketplace. Both companies have active R&D functions and their product and service innovation has helped them to attract and retain global brands as well as producing own-label products for leading high street retailers. The combined operation will have deep penetration into a number of the sector’s most competitive areas including personal care, homecare, autocare and pet care. Between them, Barony and Sanmex fill over 100 million units a year, primarily anti-perspirants, body and hairsprays, as well as household cleaners. The joint operation will employ almost 230 people across the two sites, with a combined turnover of £40m. Eliot Swan, Finance Director of Barony Universal said; "The global aerosol market is highly competitive and heavily reliant on constant innovation, particularly the ability to rapidly bring new products to market. "It makes perfect sense for the two firms to combine expertise and operations, strengthening our capabilities and providing us with a platform to grow and win bigger contracts within the global market. "We are stronger as partners than as competitors and our many blue chip customers have welcomed the news that we will be working together with immediate effect." Steven Groden is currently Chief Executive of Sanmex and will take on the same role at the expanded operation. He added; "The UK is the largest manufacturer of aerosols per capita in the world, and the sector is highly dependent on speed to market and the ability to respond swiftly to changes in both demand and technology. "Barony and Sanmex have both enjoyed growth by continually identifying better ways to bring products to market. The enlarged operation will benefit from huge shared wisdom and experience, as well as having a nimble and creative R&D function which delivers the innovation which the sector demands." Manufacturing will continue at both locations and both companies will continue to trade under their own names for the foreseeable future. 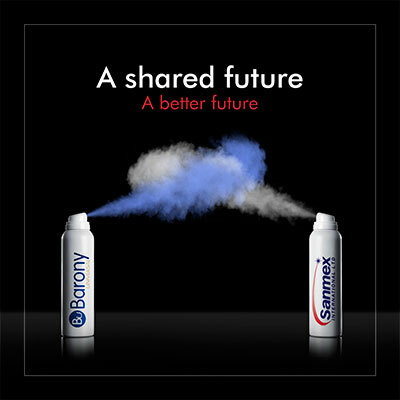 Barony Universal and Sanmex are members of the British Aerosol Manufacturers' Association (BAMA). Barony was founded in 1994 and moved to state of the art manufacturing premises in Irvine in 2011 where it employs almost 140 people. Barony provides contract filling services to leading high street retailers and global brands, as well as marketing its own products. Product capabilities include anti-perspirant sprays, body sprays, dry shampoos, hair sprays and mousses, eau de toilettes, shaving foams and gels, foot deodorants, air fresheners and polish. Sanmex International manufacturers and markets a range of quality household and personal care aerosol products from its headquarters in Glasgow. Established in 1932 it employs around 90 people. Sanmex products can be found in more than 40 countries worldwide. Product capabilities include air fresheners, carpet care, fabric care, floor cleaners and polishes, furniture care, cleaners, personal care and stain removers.